Alcohol Killed Amy Winehouse, Coroner Rules : The Two-Way The alcohol in the singer's system was five times the legal drunk-driving limit, authorities say. 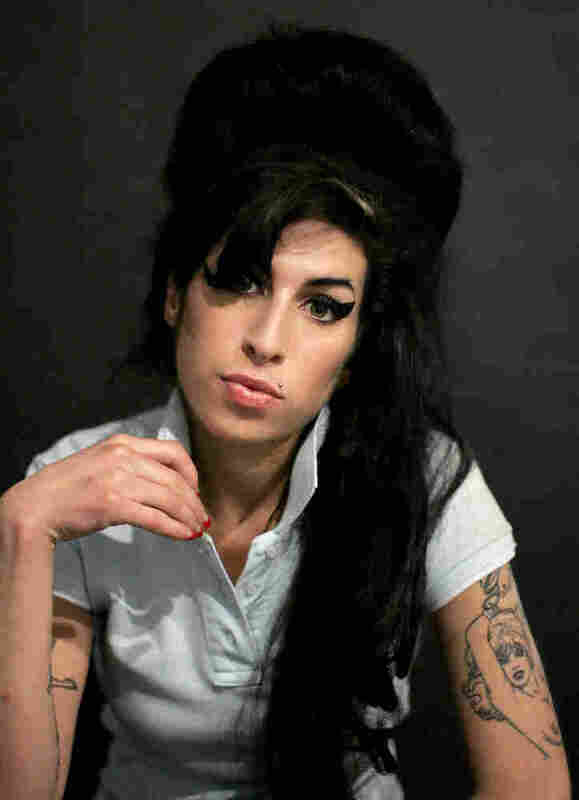 Winehouse, 27, was found dead on July 23. There were no illegal drugs in singer Amy Winehouse's system when she died on July 23, a British coroner reported today. Instead, the troubled 27-year-old suffered "death by misadventure" — a drinking binge. The coroner says Winehouse had "five times ... the legal drunk-driving limit" worth of alcohol in her blood, The Associated Press reports. It adds that "Police Detective Inspector Les Newman, who was called after a security guard found Winehouse, said empty vodka bottles were scattered around her bedroom." At today's inquest, The Guardian says, it was also reported that Winehouse "hit the bottle after being dry for three weeks. ... The amount of alcohol in her system could have stopped her breathing and sent her into a coma." NPR Music's Winehouse archive is here.